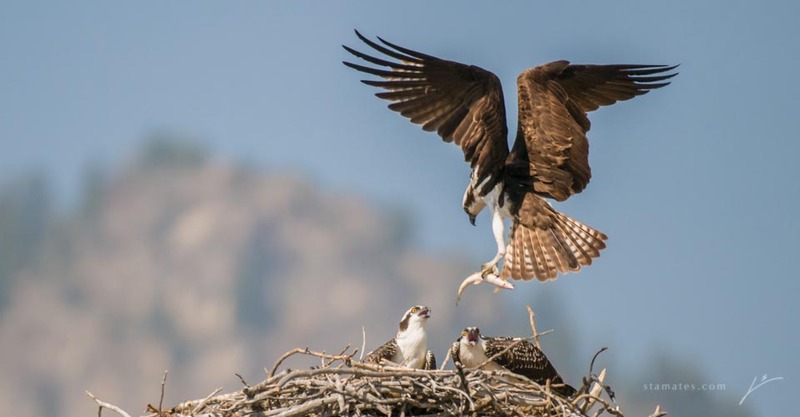 Osprey, Pandion haliaetus, Teton NP, WY, USA, A parent brings a fresh trout to feed the fledgings. The next day the young left the nest. Cropped. Nest on man made nesting pole.